As was explained earlier in the chapter, GPS receiver configuration requires that you enter the correct COM port number or name for your receiver. 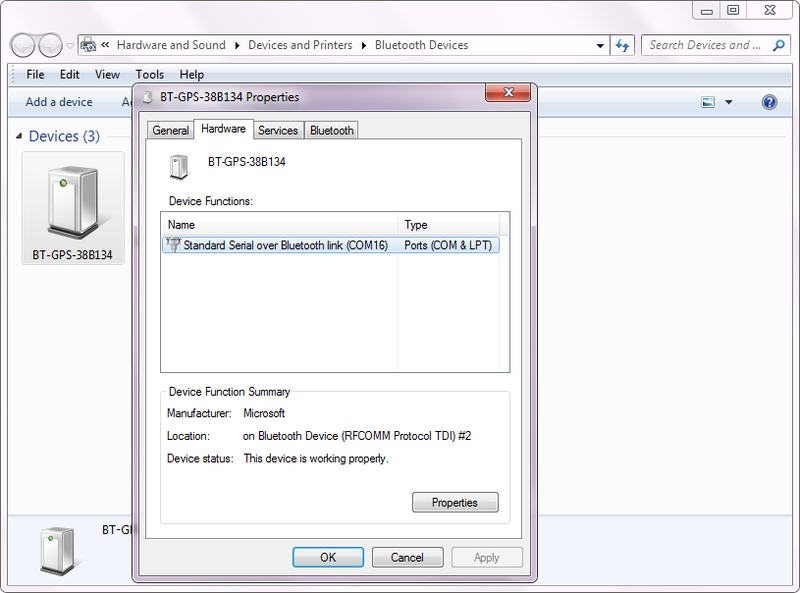 This information can be either automatically detected in the GPS configuration dialog or easily found by the user. 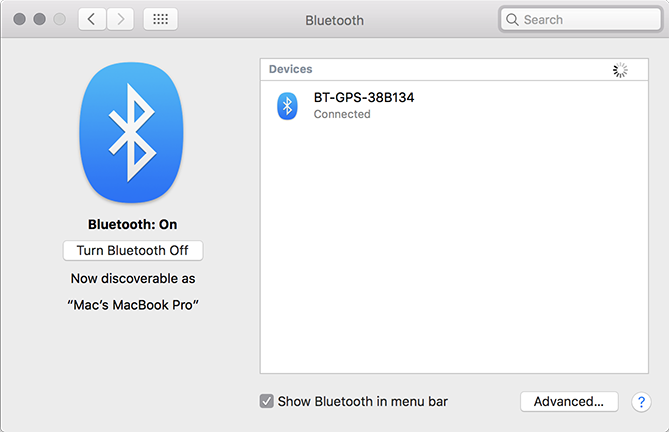 For Bluetooth devices, open Devices and Printers in Windows, find your Bluetooth device, and double-click on it. The Hardware tab will display the port number, as shown below. 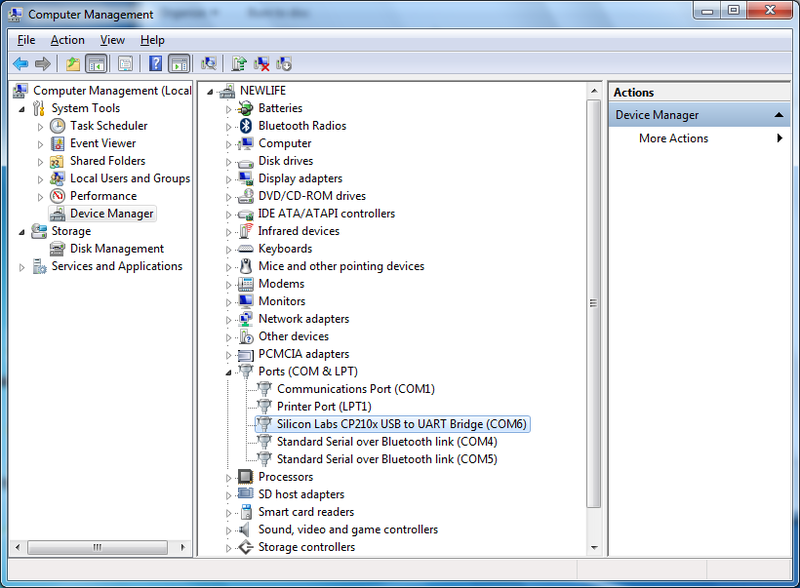 For USB devices, open Device Manager and find your device under Ports (COM & LPT). The device name will be followed by the port number, as shown below. For USB devices, the port name typically looks like “usbserial-xxxx”.